Thunder Bay is one of my favorite places to visit. 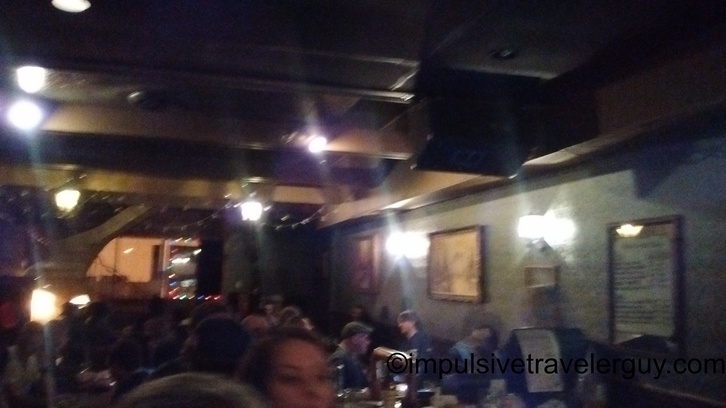 I’m not sure if it’s because it was my first international experience, it has amazing scenery, or Canadians are just really cool and you can have great conversations with them. It’s probably a combination of all three. I swear the average Canadian knows more about American than the average American. 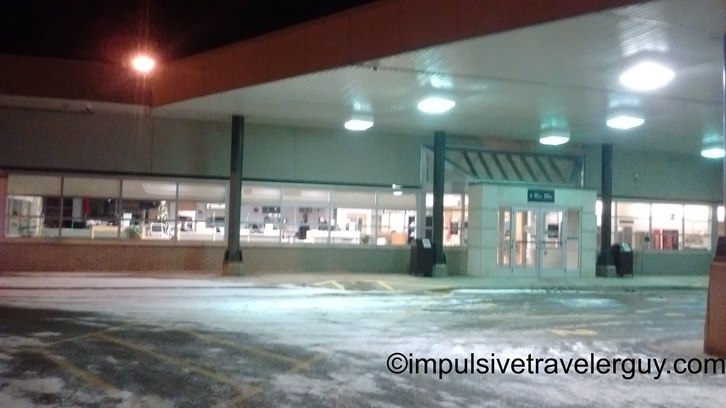 After my Mall of America trip, I decided I would go up to Thunder Bay and spend a day or two before New Years Eve. The drive started out not too bad until I started getting near Eau Claire. It wasn’t quite as bad as when I was driving back from Mall of America, but I did have to slow down due to the snowing. Finally, by the time I got past Rice Lake, the roads were clear again. North of Rice Lake I was scanning through radio stations. There was one that appeared to be dedicated to Native American music. By the time I was getting close to the border, it was getting dark. 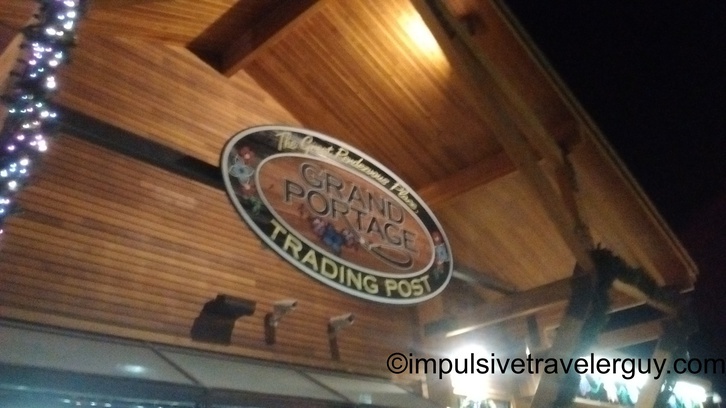 I decided to stop at the Grand Portage Trading Post to top off on gas because gas is more expensive in Canada. Shortly after, I hit the border. I saw the border guard filling out a slip as she was asking me questions. I knew it was the dreaded secondary questioning slip. At least this time I have my travel blog to back me up and I told them about it. They asked me to come inside. I sat inside for about 5 minutes assuming they were looking up the blog. They then came out and just asked for the keys to my car so they could search it. After about 5 or so minutes, I was on my way. The funny thing is 2 of the border guards seem to always be working when I cross and the one even made the comment, “I think I remember searching you last time.” They’re always professional and I’m usually in and out fast enough so it wasn’t that big of a deal. The first place I headed was the same McDonalds that Bob and I originally went to. I knew the WiFi there was good and I could look up things to do on the internet. My phone actually worked, unlike when I went in May. I guess switching from Verizon to AT&T helped. I was out of high speed data, so data itself did not work but phone calls and texts did. 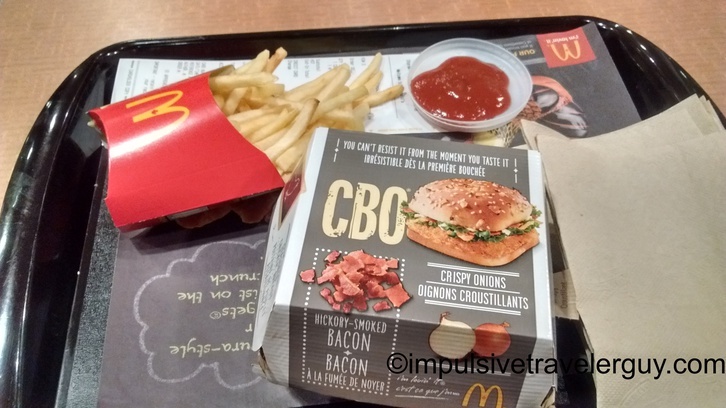 I didn’t see the McBistro on the menu so I asked what is unique to Canada and they told me the CBO. 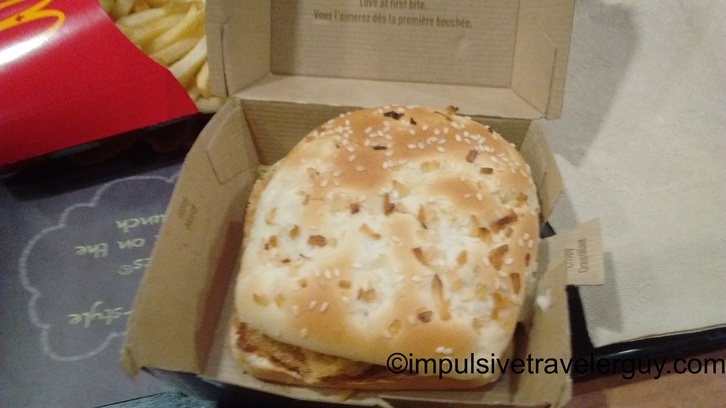 After a while of surfing the internet, I didn’t feel like hanging around McDonalds too long. 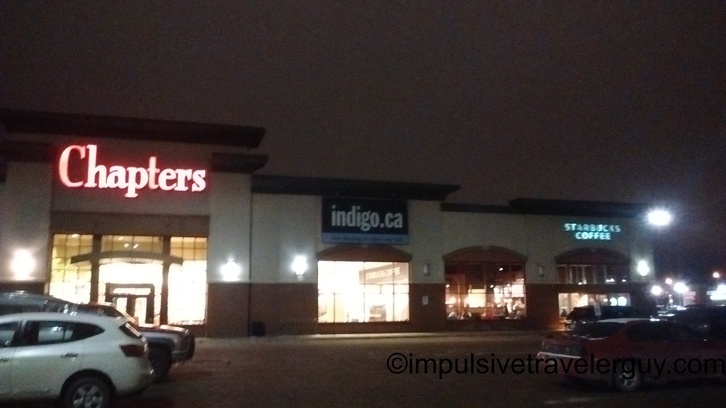 I went to the Starbucks in Chapters (basically Canadian Barnes & Noble) and got a cup of coffee there. I surfed the internet a little more to figure out what to do that night. 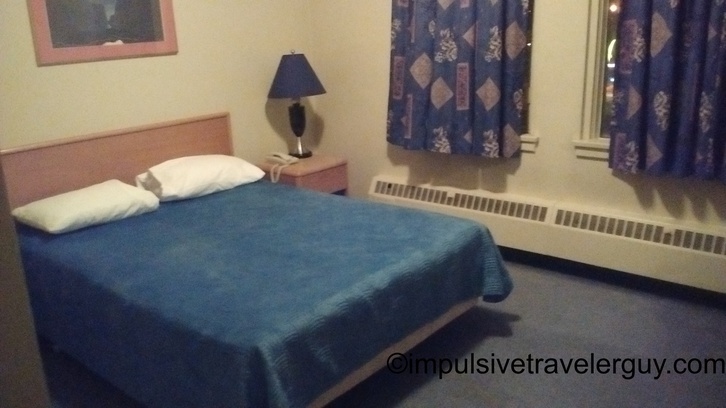 After a while, I decided I would stay at the Shoreline Motor Hotel, like JP and I did the time we went to Thunder Bay together. This time when I checked in, there wasn’t anyone fighting in the lobby. 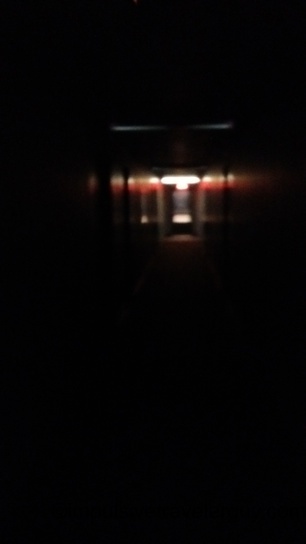 I got a room on the top floor and the hallway was pretty dimly lit and sketchy. 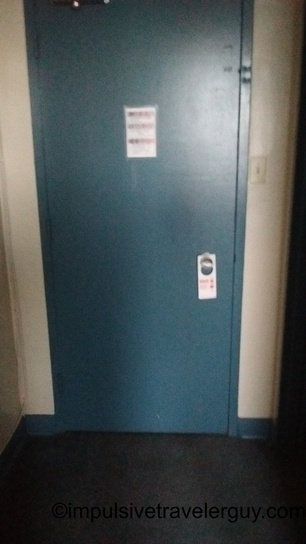 I made it to my room, without incident. There really wasn’t much for locks on the door either except for the knob. 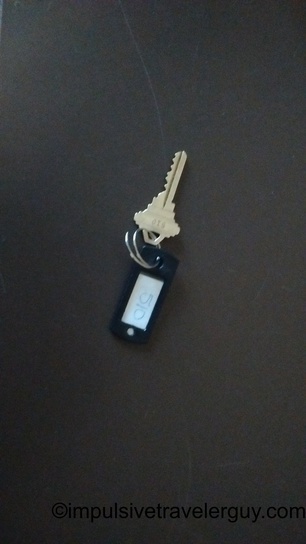 For the room, you actually get a regular key, which you have to put a $20 deposit down for. 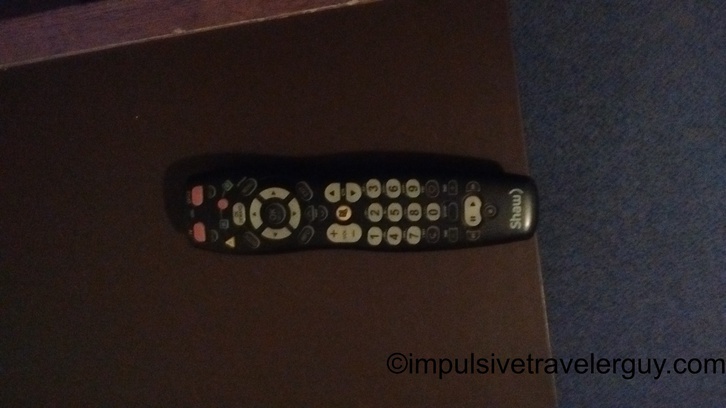 They also give you the remote at the front desk, which then has to be returned on check out. The room itself isn’t bad. It is, however, very basic and outdated. 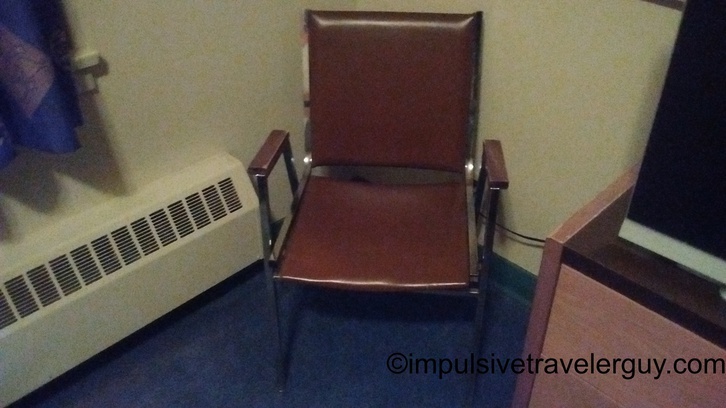 The price is very cheap and It’s basically like a Motel 6 without WiFi. 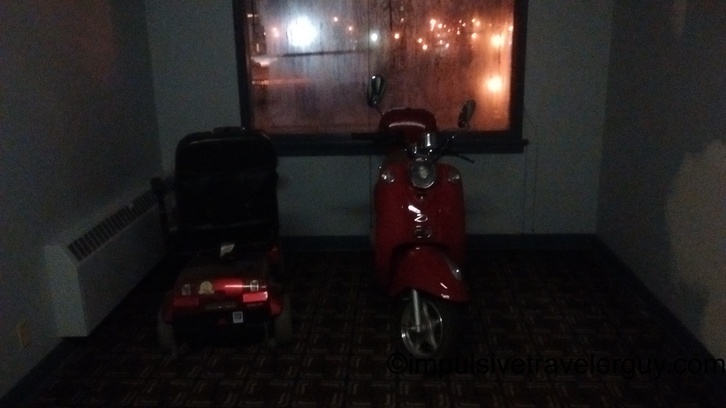 On my way out, I noticed there was a moped and a handicapped scooter just sitting in the hall by the elevator. My first stop was On Deck bar. That’s the bar JP and I hung out at the night we were up in Thunder Bay. 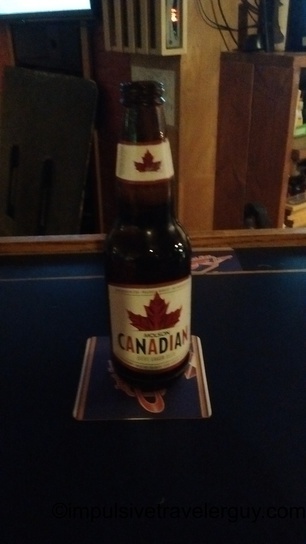 When in Canada, order a Molson Canadian. 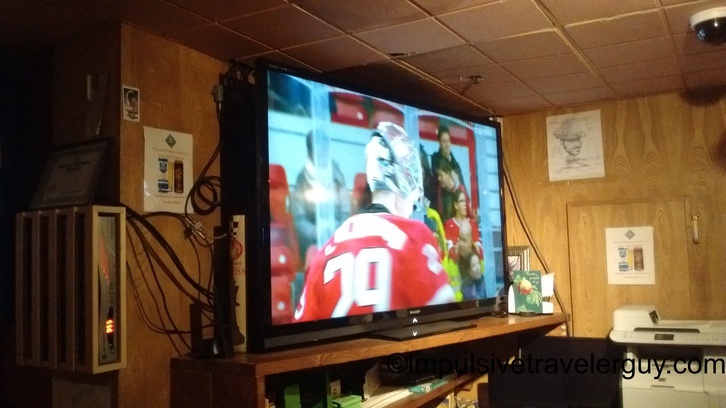 Of course being at a sports bar in Canada, they had a hockey game playing. The place was kind of dead overall. I talked a bit with the guy next to me, who ironically was also named Cody. It was interesting hearing his take on things. 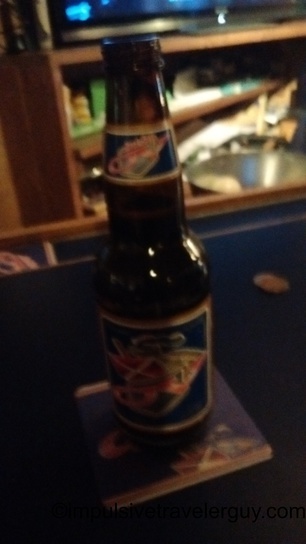 In the meantime, I ordered a more local beer. I can’t remember what it was called and I can’t read what it was from my picture. After my second beer, the place became even more dead. Cody had left and there was really nobody sitting at the bar. I decided to walk up the road a bit where there were some more bars. I ended up at The Sovereign. 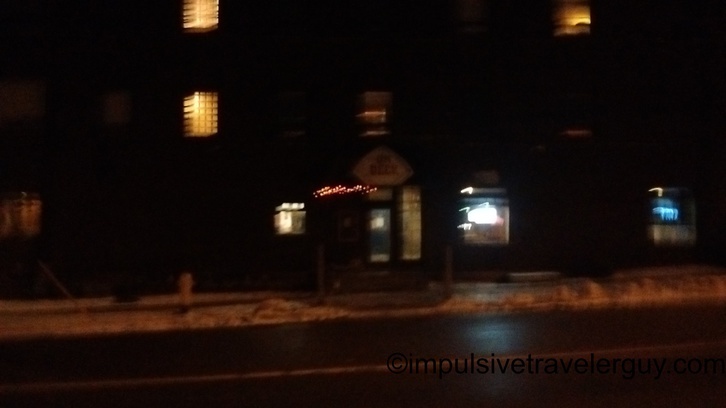 This was the bar that JP had a little too much at and was puking his guts up in the snowbank. 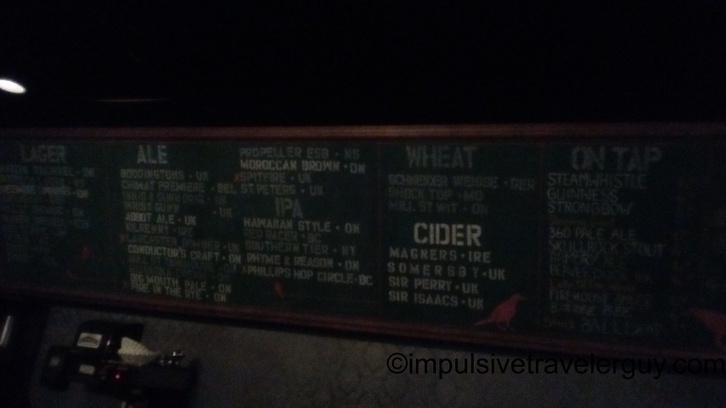 The Sovereign is a neat bar. 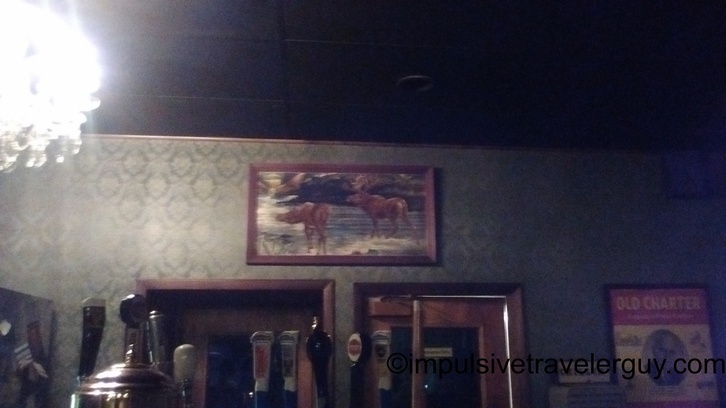 They have a wide selection of local craft beers and a cool atmosphere. I ended up spending most of the night there. The place was a little more packed than On Deck. 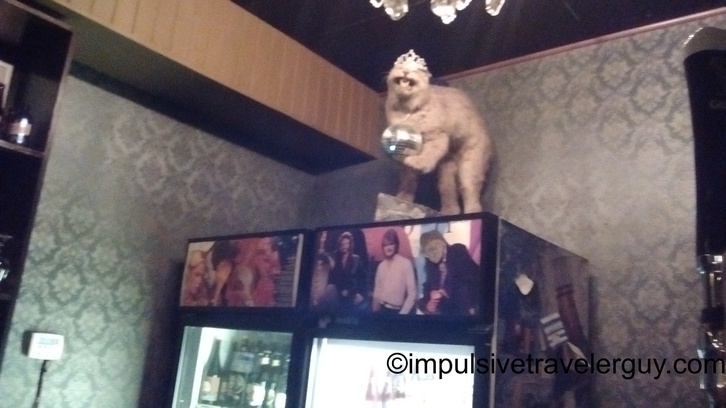 They had some interesting décor. 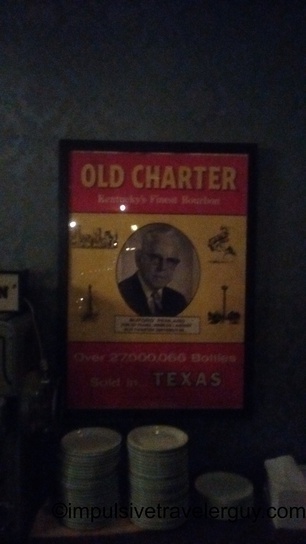 I did find it kind of funny and ironic the whiskey poster that said it was available in Texas. The other décor made the place seem very homey and unique. 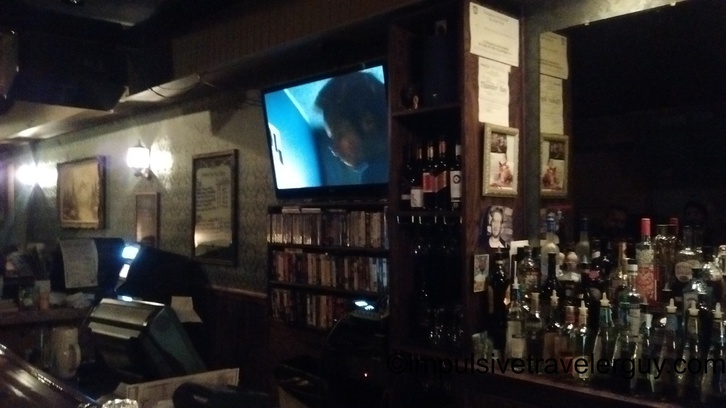 They even had old VHS tapes playing for movies. 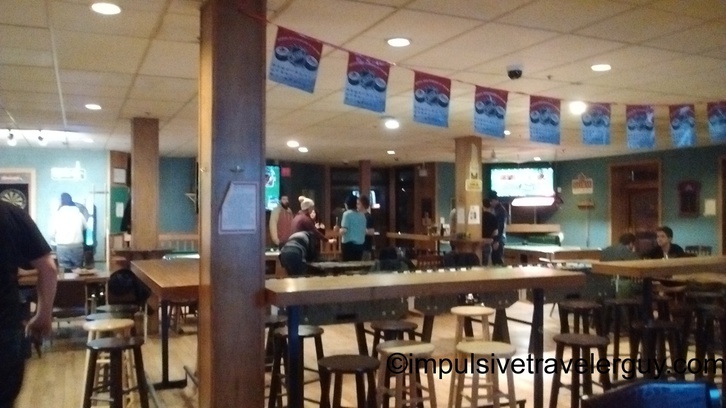 I talked to a decent amount of people at The Sovereign and had some good conversations. 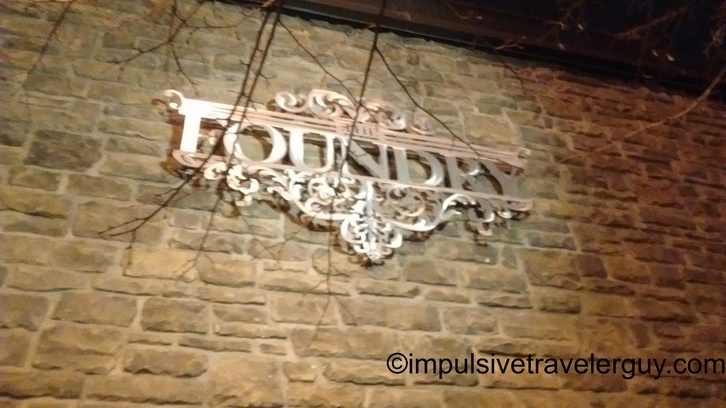 Some of the guys mentioned about another bar up the road called The Foundry that had karaoke and a lot more stuff going on. I decided to check it out. When I went inside, there was a bouncer there. When he carded me and saw my Texas driver’s license, he then chuckled and asked, “How you like the weather here?” The place definitely was packed. I was able to work my way through the crowd and get a beer. 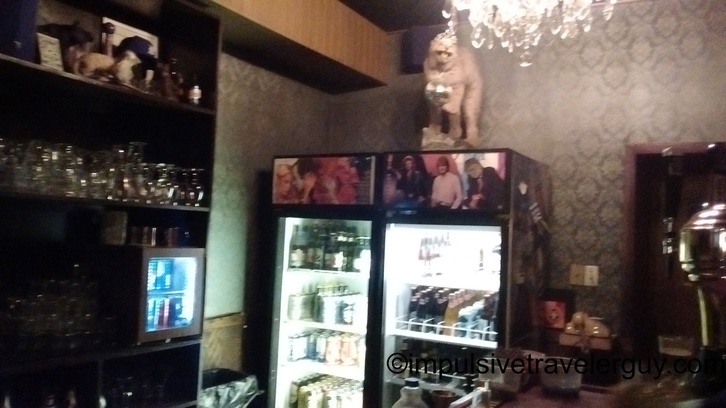 I saw the guys who were at The Sovereign and told me about this bar. I talked with them a bit and eventually finished my beer. 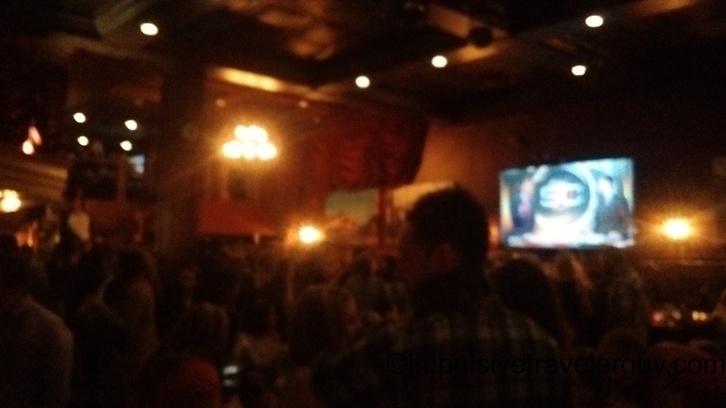 That bar was way too packed for my liking. 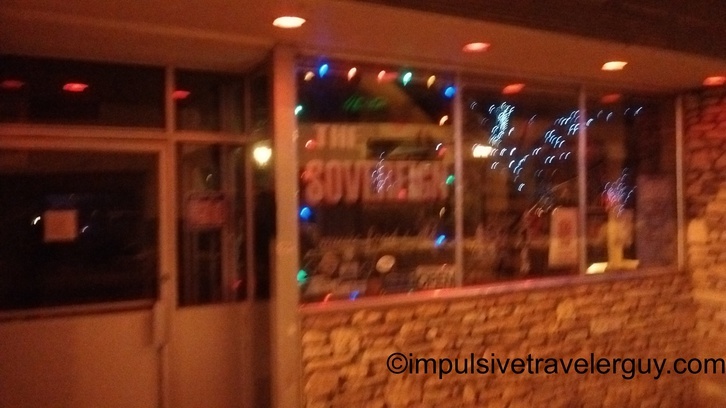 I decided to finish the night out at The Sovereign. There I found the bar stool I was at empty so I bellied up to the bar. I met a couple more cool people (who will probably be reading this blog when I post it). 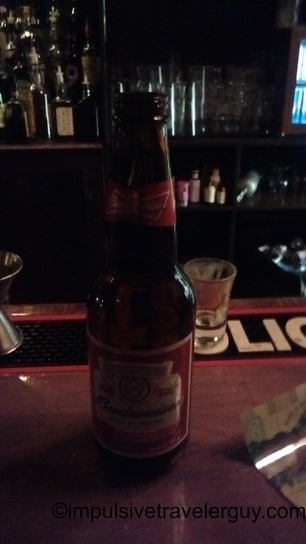 For my last beer, I decided to get a Budweiser just for ‘Murica. By the time I finished my beer, it was closing time. I walked back to my hotel. There were some people hanging around outside and I found the front door locked. Oh great! I flashed my key at the guy behind the counter and he opened the door for me. I talked with him a while and he told me they had been having issues with people not staying at the hotel coming in and wandering the halls. They kept the door locked to keep them out. I guess that’s a good thing since the halls aren’t the best lit. He talked about the old days of Thunder Bay and it sounded a lot like the old days of Marshfield. After talking a while, I made it up to my room. I snapped a quick picture of the view outside. One interesting thing about drinking in Canada is they do not have $1 bills. The bills lower than $5 are actually all coins. 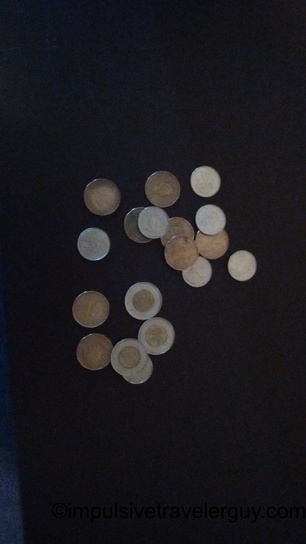 You get either a Loonie ($1) or Toonie ($2). Sometimes you forget you have a pocket full of change that amounts to like $20. 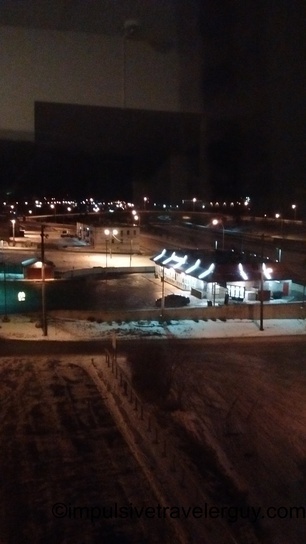 Overall, it was a fun night out in Thunder Bay. It’s refreshing talking to people and getting different perspectives on things. Sometimes we get a bit isolated in America that we don’t realize there’s some very valid differing perspectives out there. Another weird thing is, even though we’re 2 separate nationalities and countries, we are so much alike. It does seem weird because talking about things like music or hunting or anything else, there is a ton that we have in common. I guess cultures don’t change too much when the distance is only 300 miles by the crow flies from where I grew up in Central Wisconsin.